The village of Flenu is located south-west of Mons off the R5 ring. From the E19 motorway turn off at junction 24a and onto the ring R5. Follow the ring to the junction with the N51, turn left onto the N51 direction Jemappes. Follow the N51 into Jemappes and turn left into avenue du Champ de Bataille, this is the turning on the left before the church. Follow this road to the main crossroads and turn right at the crossroads into Rue De Quaregnon. The cemetery is along here on the right. 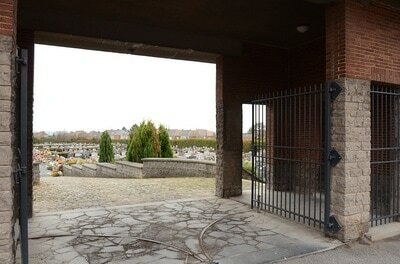 The graves are located to the right hand side of the main entrance. 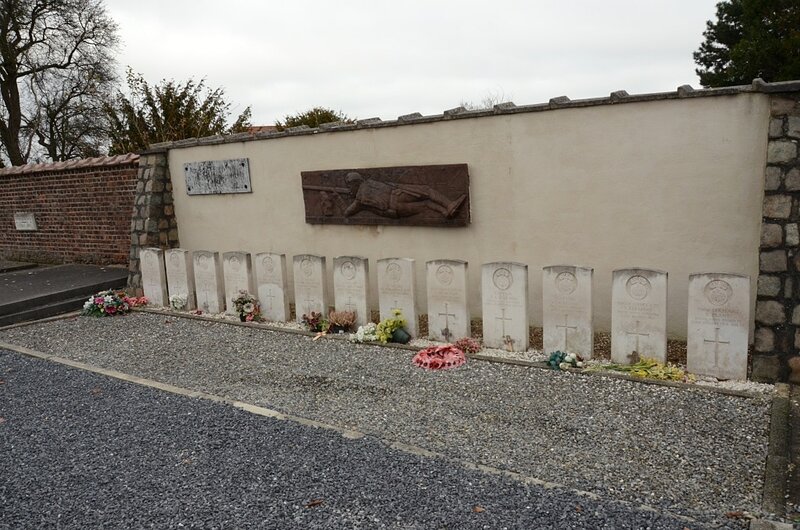 Flenu Communal Cemetery contains 17 Commonwealth burials of the First World War, 12 of which are unidentified. 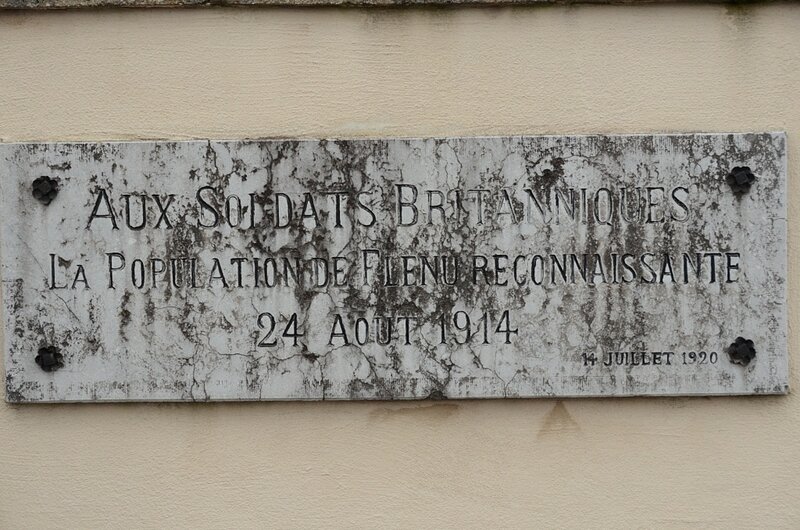 All date from August 1914. 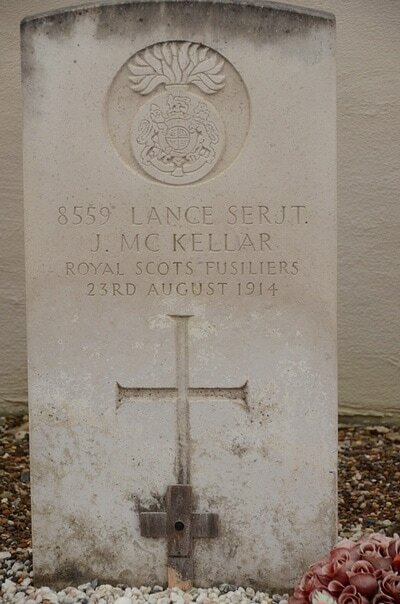 8559 Lance Serjeant J. McKellar, ist Bn. 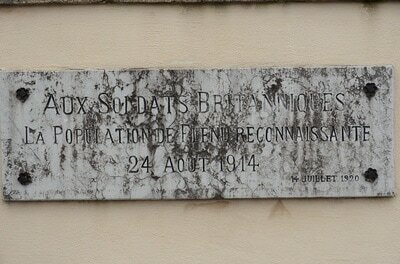 Royal Scots Fusiliers, died 23rd August 1914. 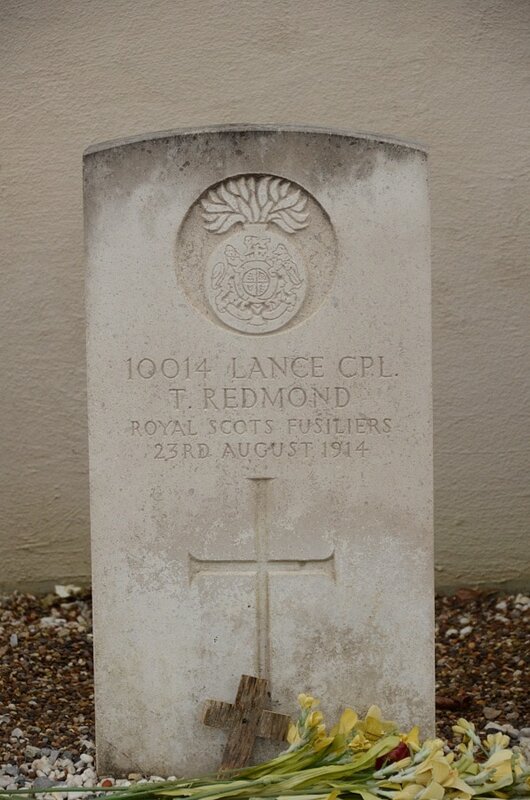 10014 Lance Corporal T. Redmond, 1st Bn. 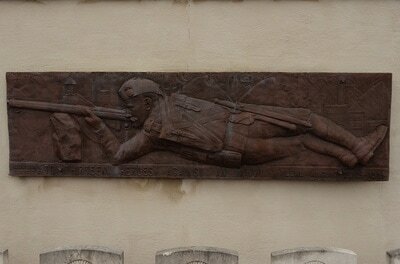 Royal Scots Fusiliers. 23rd August 1914. Captain Thomas Allen Rose, D. S. O. "C" Coy. 1st Bn. 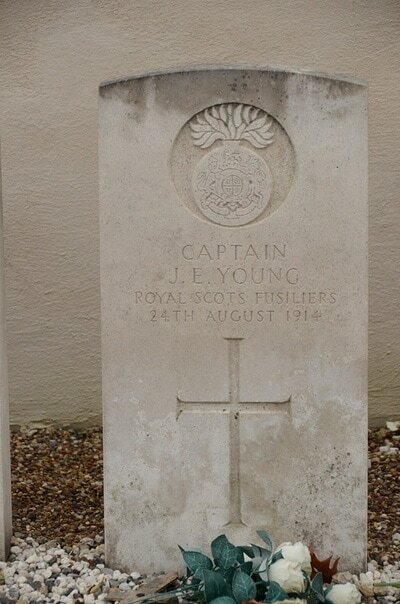 Royal Scots Fusiliers. 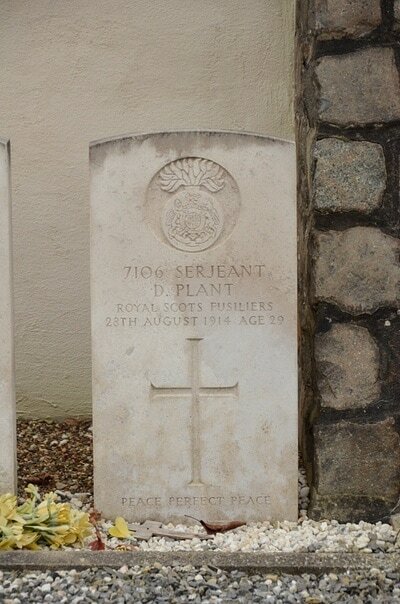 23rd August 1914, aged 40. 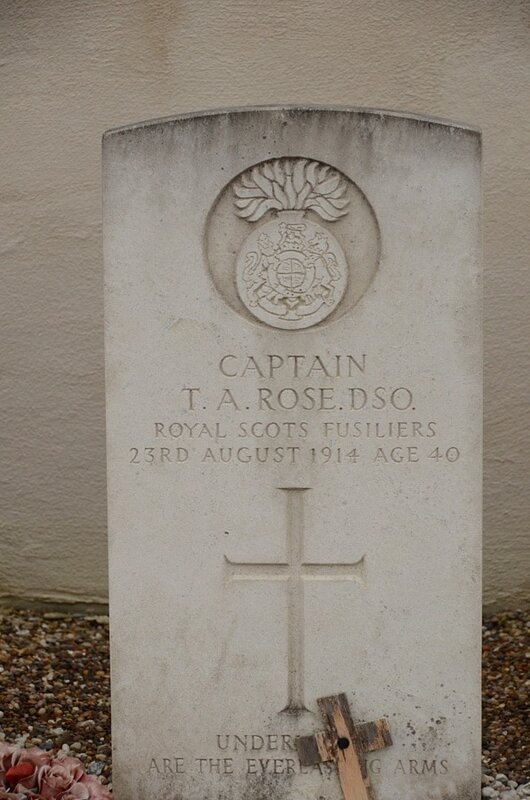 Son of the late Major T. C. Rose, Army Pay Corps and Mrs. T. C. Rose of Lowestoft, Suffolk; husband of Elizabeth Mary Rose of Flat 4, Eversfield, Clarence Parade, Southsea, Hants. Captain J. E. Young. 1st Bn. Royal Scots Fusiliers. 24th August 1914.